Crossing all socioeconomic barriers, addiction does not just affect the poverty stricken, homeless, or street junkie. With the addition of opioids like Fentanyl and Carfentil, people are dying daily across the state of Tennessee. Fentanyl can be trasmitted by inhalation, ingestion, or even absorbed through the skin therefore, just touching the drug can kill someone. Opioids are substances that act on opioid receptors to produce morphine-like effects. Medically they are primarily used for pain relief, including anesthesia. 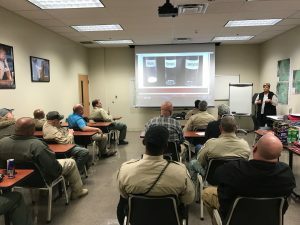 In order to prepare for possible opioid overdoses in the future, the Hardeman County Sheriff’s department took part in training to be able to receive Narcan (generic name is Naloxone), which is an opioid antagonist for opioid overdoses. All patrol cars are now equipped with these kits in an effort to reduce opioid overdose deaths. 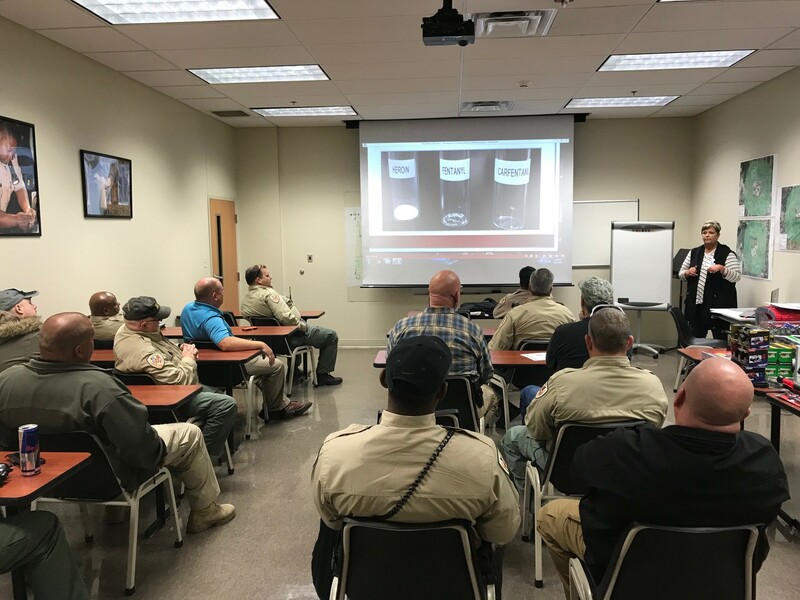 The training was given on behalf of the State Targeted Response (STR) grant through the state of Tennessee. This state grant allows for Narcan to be placed in the hands of our law enforcement, not only for their protection, but for the protection for the public. If you or someone you know is struggling with addiction and needs help, please call 1-800-889-9789. Categorized under: Community Updates, Press Release, The Sheriff's Desk.